Smollett celeb justice case has enough twists that we need a timeline. But just today, Inspector General Patrick Blanchard of Cook County said , “this office will proceed with this review” under the county’s inspector general law.See last timeline entry below and here. A few quotes to set the stage. 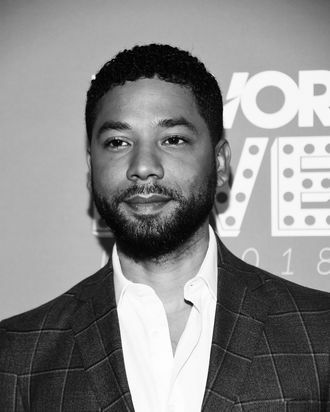 The “Empire” actor claimed in January that two Trump supporters had roughed him up while shouting anti-gay and racist slurs and “this is MAGA country.” Mr. Smollett was charged after a Chicago police investigation found he’d paid two brothers to stage the attack. ‘We didn’t exonerate him,” Cook County prosecutor Joe Magats insisted to a reporter about his decision Tuesday to drop all 16 felony counts against Jussie Smollett. That sure isn’t how Chicago police see it. “Incredibly, Mr. Magats says prosecutors stand behind the police investigation and original charges. Though there will never be a trial to get at the truth, the prosecutor notes Mr. Smollett will have to do community service and forfeit the $10,000 posted for his bond—a fraction of what this investigation cost Chicago taxpayers. Here are excerpts from Cut’s full timeline of the whole ordeal. “Due to new evidence,” CPD releases the two suspects and drops the charges against them, per a tweet from Guglielmi. Just minutes before the Osundairo brothers are scheduled to testify in front of the Leighton Criminal Courthouse grand jury, CBS Chicago reports that Cook County State’s Attorney’s office receives a call from Smollett’s attorneys, leading prosecutors to postpone the testimony. April 12: Investigation launched into Foxx’ handling of case. Inspector General Patrick Blanchard reveals he’ll comply with Foxx’ letter April 11 to Cook County Board President Toni Preckwinkle, county commissioners for his office to investigate her handling of the case. Do you think justice is different for actors, celebs, and the politically connected? Who should pay the $130,000 spent to investigate Smollett allegations? Why have politicians intervened on Jussie Smollett behalf?